When she was diagnosed with multiple myeloma, Yadira Zepeda learned she likely had just months to live. That was almost 30 years ago. Today, the 70-year-old grandmother credits her survival – and her daughter's – to Mayo Clinic. Two to four months. That's how long Yadira Zepeda's doctors in Miami told her she would likely live. The mother of four, then in her early 40s, had been diagnosed with multiple myeloma, and doctors had told her there were no effective treatment options available. That was 27 years ago. 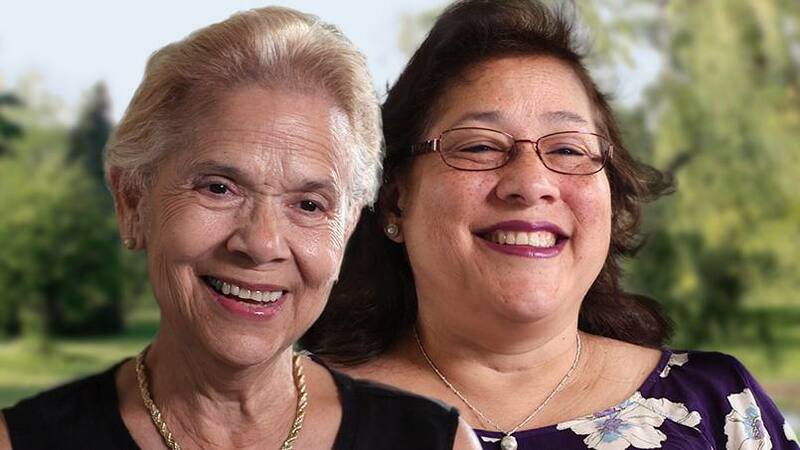 Today, Yadira is a 70-year-old grandmother, thanks, she says, to her care team at Mayo Clinic's Florida campus, where she sought out a second opinion all those years ago. She knew early on she'd come to the right place. "When I met with Dr. Colon, it was like night and day," Yadira says of oncologist Gerardo Colon-Otero, M.D. While Dr. Colon-Otero acknowledged that there were few treatment options for her disease, he gave Yadira something she needed desperately: a reason to hope that would change. "He told me, 'In your situation, there's nothing now. But if we can keep you alive, then maybe tomorrow there could be something else," Yadira recalls in this Mayo Clinic News Network video. "He told me, 'The case is serious. We don't do miracles. But we're going to fight. If you want to fight, we're going to help you fight.'" And fight she has. Over the years, Yadira has had chemotherapy, radiation and a bone marrow transplant. "Another option and another option and another option," she says of the treatments that have tallied up to another day, another month, another year of life. "They have been keeping me alive." Treatments like those have been doing the same thing for Yadira's daughter, Valeria, who was diagnosed with cancer in 2008. First it was chronic myeloid leukemia and then, six weeks later, breast cancer. "Suffering your cancer yourself is sad," Yadira tells the Mayo Clinic News Network, noting that the feeling was magnified exponentially with her daughter's diagnosis. "When one of your kids is diagnosed with cancer, that's another story." Like her mother, Valeria sought care at Mayo Clinic, where she received "targeted chemotherapy for her disease," according to Sharing Mayo Clinic. Initially, Valeria responded well. But her disease progressed in spite of three different lines of treatment. That prompted Valeria's doctor, Candido Rivera, M.D., to recommend a bone marrow transplant. "It was just like for me," Yadira says. "Another option, another option and another option. That's Mayo Clinic." Yadira says she's grateful for all of those options, which have helped her reach milestones — like her 70th birthday — that once seemed beyond her grasp. "The greatest gift Mayo Clinic has given me is time," Yadira says. "Time that I have enjoyed with my kids, my grandkids." That's something she once thought impossible. "I never expected to meet my grandkids," Yadira tells Mayo Clinic News Network. "Now I say, 'Well, I'm going to survive until I can see my great grandkids.' That's my goal." Make it your goal to leave a comment below. Then, use the handy social media tools atop this page to share this story with others. Several generations of my family have been treated at the Mayo Clinic. Everything from my mothers diagnosis of multiple sclerosis and multiple myeloma to my brother being one of the first babies to have eye laser surgery. To my sister diagnosed with lung cancer, my dad diagnosis of Alzheimer’s and many others relatives now and in past generations. So it was understandable that my multiple myeloma diagnosis would be discovered from the Mayo Clinic in July 2008. After rapidly going thru all of the available drugs at that time, some clinical trials, radiation, stem cell transplant, ending up on a final combo that started working in Dec 2009. For several years there wouldn’t have been anything else they could put me on if I relapsed. For some unknown reason ( I believe it was GOD) while on this therapy my blood counts wouldn’t drop as it does in others, hence that therapy has worked for close to 9 years now, kept me alive for new drugs to be developed! I can relate with her story.